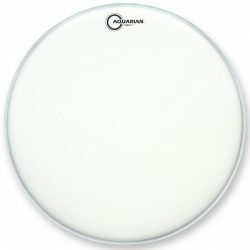 The Aquarian Force I Clear is a medium-thin and resonating bass drum head giving you an open, brighter thud with good sustain. The Aquarian Force I Clear bass drum head is made with a single ply of 10mil film, allowing the drum to resonate very well. The added underside inlay ring has ventilation holes, allowing the head to move more freely. 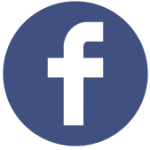 The result is a slightly focused sound that stops overtones getting out of control, while still allowing for very good sustain. 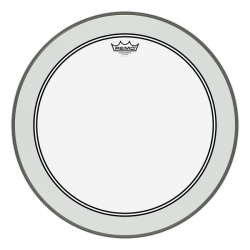 This responsive bass drumhead is perfect for low and moderate volume playing, and will allow you to hear the fullness of your bass drum shell. The Aquarian Force I Clear is sensitive enough for very light bass drum playing. 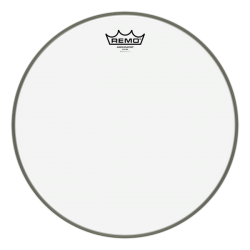 At higher volumes, this drumhead also performs well. The good attack and brighter tones help with projection, meaning your bass drum won’t be drowned out if things get louder. Note, however, that the Aquarian Force I won’t hold up well to extremely hard playing. 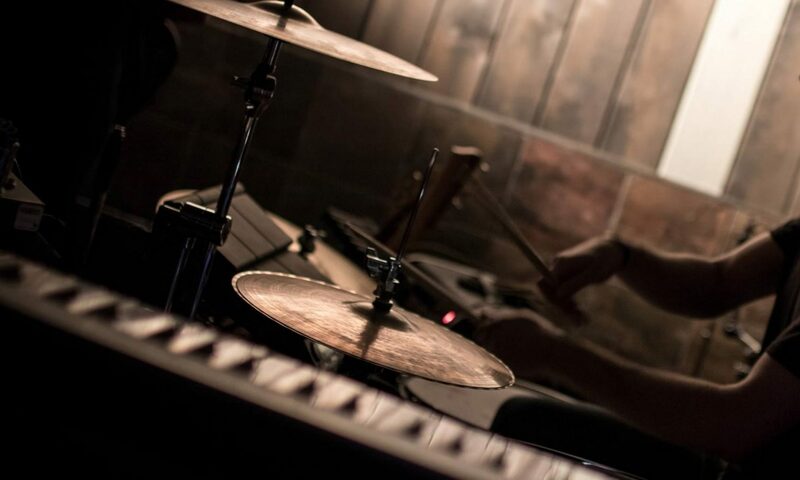 At extreme volumes, you’ll need a microphone on the bass drum. The Aquarian Force I Clear is an open sounding drumhead, with a good sustain. Tune it low for a fat smooth rumble, or increase the tension for a more cutting boom. Clashing overtones are reduced thanks to the internal inlay ring. Compared to the Texture Coated Force I, the Clear Force I is brighter, and has more attack. This makes the Force I Clear a good live bass drum head choice. 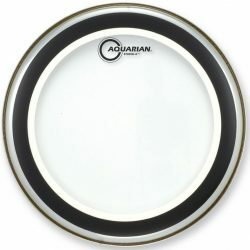 Overall this is a very versatile bass drum head; the Aquarian Force I Clear is great at most volume levels. 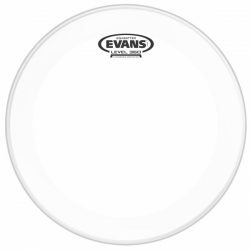 You have the option to leave it open for full sustain, or add dampening (like the Evans EQ Bass Drum Damper Pad) to control things more. 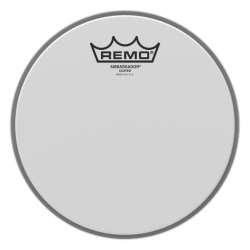 With some dampening inside the bass drum, the sound becomes more focused and punchy. 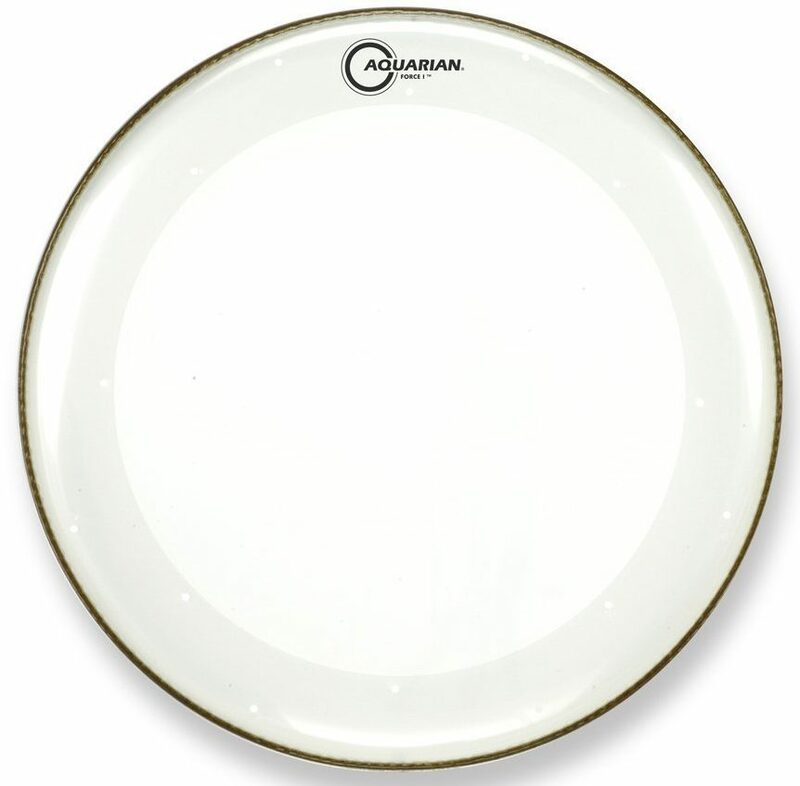 The Force I Clear is part of the Aquarian Full Force series, and comes in sizes 16″ to 28″. 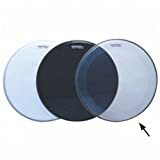 Aquarian Full Force bass drum heads come with an Aquarian Kick Pad bass drum patch, to protect the area where the beater strikes. 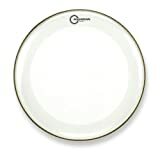 The Aquarian Force I Clear can also be used as a resonant bass drum head, giving an open sound with a very nice longer sustain, especially with a smaller port hole. 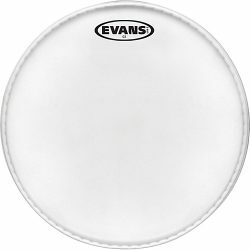 Tip: see this article for more info on bass drum port holes.